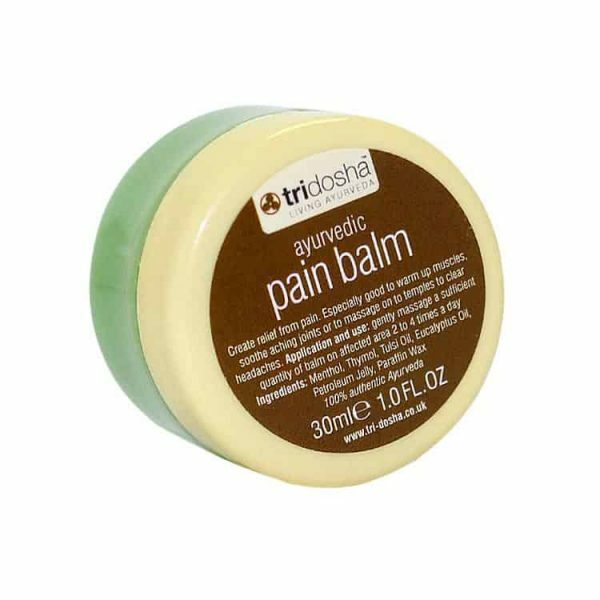 Tri-Dosha Ayurvedic pain balm. Natural healing pain balm for colds, flus, headaches, muscle soreness and more. Active ingredients: menthol, thymol. Create relief from pain. Our Ayurvedic pain balm is especially good to warm up muscles, soothe aching joints or to massage on to temples and chest area to clear the airways. A multi-functional medicinal blend with a warm sensation.